Big Dogs - Big Dogs is a Netflix US crime thriller series set in NYC, based on the book Rivers of Gold by Adam Dunn. In this alternate urban reality, businesses are shuttered, crime is rampant, black markets thrive. Drugs are run via taxis and NYPD detectives use taxis for undercover teams trying to rein in the chaos.Big Dogs producers have chosen The Verlaines' tracks 'Lucky In My Dreams' from the album Way Out Where and 'Angela' from Juvenilia, for scenes in this gritty adaptation. Farmers A/W 2018 TVC - Farmers recently used the upbeat Paper Cranes track 'Again & Again' as the accompanying music to their Autumn/Winter 2018 TVC campaign and consequently have carried the song through on their most recent TV campaign. The song fits perfectly with the tone of these commercials. Well done guys! Songbroker welcomes new artists to our roster, expanding and enriching our diverse, quality catalogue. Latest signings include The Topp Twins, Matthew Bannister, The Dribbling Darts of Love, Sneaky Feelings, Trip to the Moon, Hallelujah Picassos, Albi & The Wolves, Rivers Edge, Looking For Alaska, Charlotte Yates, Francisca Griffin, Scott Mason, Eli Moore, Dominic Blaazer, Kat McDowell, Henika, Boom Boom Deluxe, Damien Binder, Dan Sharp, Malcolm McCallum, Mitch Golner, Chris Warne, Hunter, Unchained XL, Frills, Warwick Murray, Martin Andrews, Maree Sheehan, Mecuzine, Jas Josland, The Bollands, Geoff Ong, Kerry Jacobson, Brookes & Johnstone, Into Orbit, Apollo SteamTrain, Adrian Hollay, Elider, Studio 33, Screwjack, Royal Jackets and Vinty. The Breaker Upperers - Written, directed by and starring the very talented Madeleine Sami and Jackie van Beek, The Breaker Upperers is about two women cynical in love, who set up an agency to break couples up as a way to avoid letting go and moving on with their own lives.This hit kiwi comedy features Richard Morris's 80's love anthem 'Nobody Else'. 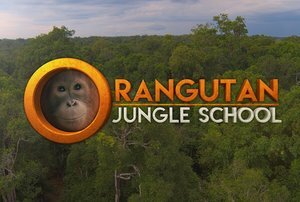 Orangutan Jungle School - Orangutan Jungle School (Season 1) was created by NHNZ, the producers of the hugely popular Orangutan Island (2009-11). Dunedin based Songbroker artist Scott Mason has composed a whimsical and heartfelt musical backdrop to the series, which is airing now in NZ on Choice TV and truly is cuteness overload with a very serious message. Air NZ Mobile App TVC Campaign - Air NZ selected the perfect track for their Mobile App TVC campaign earlier this year. Yasamin's song 'Home' has just the right amount of airiness and emotion, with the perfect lyric to mirror the family story in the commercial. Mobil Carwash Concerts - Mobil New Zealand has produced a series of Carwash Concerts featuring local musicians performing in the confined area of an old black taxicab as it slowly works its way through a carwash. Songbroker was proud to be involved in this fun project, showcasing talented artists Sal Valentine, Harry Parsons and Pixels. Topp Twins song on The Brokenwood Mysteries - The NZ crime series The Brokenwood Mysteries is now into Series 5 and is proving ever popular with audiences at home and abroad. The latest season sees the inclusion of The Topp Twins track 'Hightime' in Episode 2. Hyundai NZ Kona Campaign - Andrew Keoghan's unique electro-pop track 'No Simple Doll' has been chosen as the accompaniment to the latest Hyundai Kona campaign in conjunction with Shine Agency. The campaign consists of a 30 second and 4 x 15 second commercials with different variations on the theme of 'The Intrepids' - those who value experience over possessions. INFINITI NZ Online Rollover - Infiniti NZ was so happy with the track 'Blue Skies and Freedom' by writers Andy Lynch and Nathan King AKA The Outsiders for their online campaign, they have decided to roll it over for another term. View the commercial here. "The Songbroker Music Catalogue proved an invaluable resource for FILTHY RICH where incidental music needed to be Kiwi, contemporary and from a wide range of genres. The Catalogue grew in content significantly between seasons which was a boon to our show, keeping music relevant. Its ongoing expansion seems assured. Of note is the online support Songbroker gives their artists, promoting music being featured on FILTHY RICH, linking back to original tracks where possible. This proved a valuable tool for our audience in identifying NZ music...with added benefit of being an extra promotional angle for the show." "Songbroker has a truly in-depth knowledge of New Zealand music, and I love having them as my publisher. Jan has such integrity, and knows the business of music publishing inside out." "I love using real songs by real artists in my shows, but it can be really hard to find songs and even harder to license them. So on the last project, I tried Songbroker and it was like being transported to the 21st century. Oh, wait… nevermind. I just sat in bed and browsed through hundreds of songs of top-shelf kiwi bands and artists on the Songbroker website, then, having selected what I wanted, Jan at Songbroker negotiated solid deals and took care of all the details. It was great. I just wish I had more budget to use more of their songs." "The Songbroker team are fantastic to deal with, they really understand our needs and budget. License negotiation is easy and song clearance has been hassle free. They have a massive collection and we love that we can support NZ musicians!"